L.A. Noire has been discussed more in the past two weeks then in the past two years. First we got the news that there would actually be some news, and then Team Bondi was the next developer to allegedly allege allegations of incompetent Rockstar management. Now, after finding out about the game going multiplatform, we now have somewhat concrete info on what L.A. Noire is shaping up to be. The game stars Cole Phelps, a beat cop in LA trying to rid the streets of crime while dealing with a corrupt police department and his dark past from his time served in WWII. As Cole, players will rise through the ranks of the LAPD as they solve crimes in a very un-open world action game like way: through investigation, analysis, and interrogations. 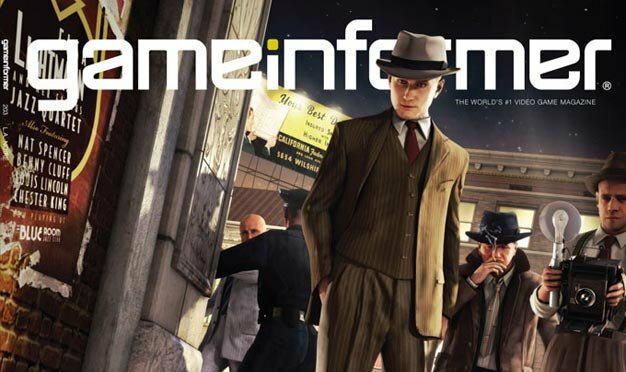 The GI cover story the information comes from also alleges a September 2010 release date, and when confronted on the subject on Twitter, Rockstar responded with, “We have not announced a specific release date yet, but L.A. Noire is coming this fall. Stay tuned.” Given the game’s now infamous reputation for delays, I take this with a grain of salt, but I definitely want to see more of the game and wouldn’t mind getting my hands on it this fall.